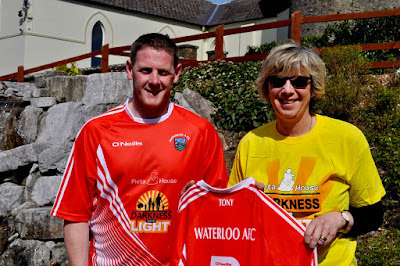 Denis John O’Mahony, Club Chairman, Waterloo AFC presenting jersey and sponsorship to Kate Durrant from Pieta House. 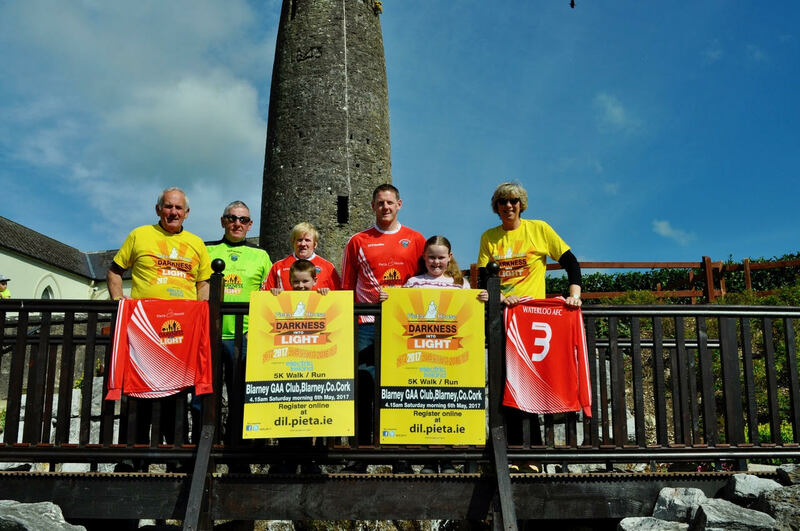 Waterloo AFC raised sponsorship for this suicide and mental health charity in memory of Tony O’Mahony a former Waterloo AFC player. Pieta’s logo is on our new jersey set. You can find out more about Pieta House’s services at http://www.pieta.ie or participate in the upcoming darkness into light run on the 6th May.